Today we’ll tell you about a hidden gem high in the hills of Cape Breton Island. It’s a backcountry and telemark paradise called Ski Tuonela. 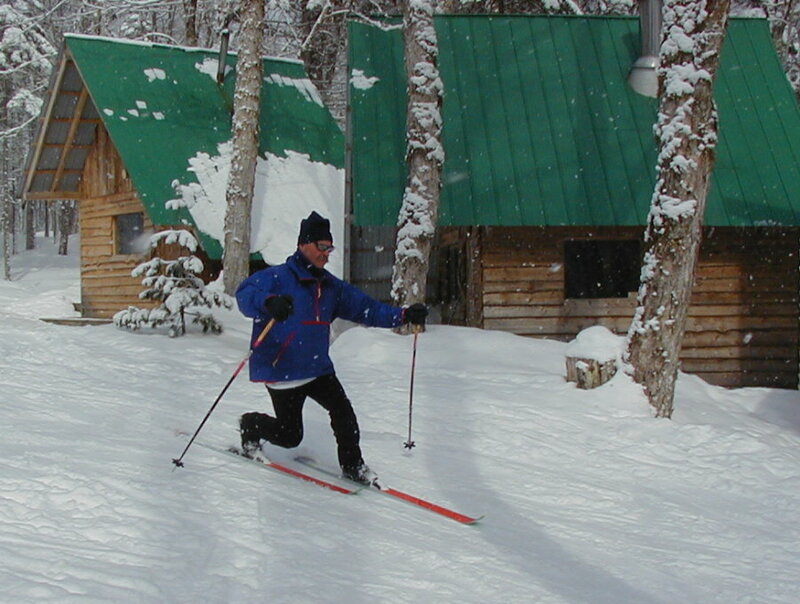 A network of trails for skiers of every ability criss cross the mountain and Tuonela even offers the only lift serviced telemark skiing in Atlantic Canada. Skiers can stay for extended periods in a village, complete with cabins, dining hall and a wood fired sauna, located about half way up the mountain. 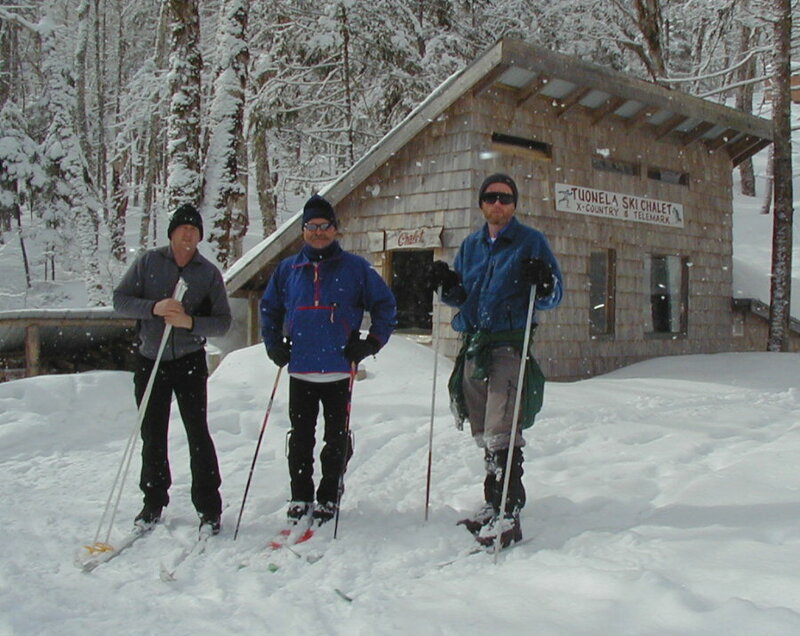 The resort is only accessible by skis or snowshoes. It’s a wilderness, winter wonderland. Also on the show more listener comments from Toronto, Edmonton and Wales, a tribute to the first man to climb Mount Everest Sir Edmund Hillary and Gary winds things up with an outdoors rant about clear cutting and access to outdoor trails. Next week some memorable runs from running guru Alex Coffin. Love the show but a comment on Sir Edmund Hillary. You commented that he was the first to climb to the top of Mt. Everest without mentioning his climbing partner (Norgay?). There is also evidence that Mallory’s expedition summitted Everest first. Regardless, he and Norgay were the first to climb and get down alive (no small accomplishment). Yep Edmund Hillary and Tenzing Norgay. Gary mightve forgot to mention him, but he wasnt ignored in his time of glory. Several countries wanted to claim him as their own. If youre interested in stories of mountaineering I recommend Eiger Dreams by John Krakauer. I have it on my ipod. While im at it, I will also strongly recommend the IMAX film that is currently running in my end of town, and likely other places as well, THE ALPS. Ive seen it twice. The second time I treated 4 of my friends to it, and so far, everyone is blown away. Honestly, the first time I saw it, I felt as if I were betraying my beloved Canadian Rockies. I had a love affair with another mountain range. Anyways, stunning film. And why I came here to begin with.. Good episode. That sounds like my kind of ski resort. I loved hearing that people need to make there own way there by foot. Well done Tuonela. And as always, well done Gary, keep it up.